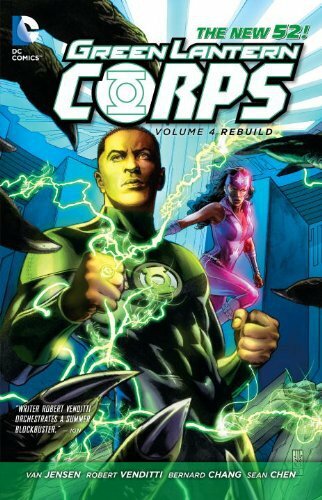 A new era begins for John Stewart and the Green Lantern Corps! The Guardians are dead leaving the Corps to fend for itself. But the damage has been done to the galaxy and the Green Lanterns are in shambles. It is up to John Stewart to train a group of rookie ringslingers with deadly foes hot on their tails and rings that aren't functioning properly. There is an ancient evil lurking at the edge of the universe, one that threatens to extinguish their life forever.